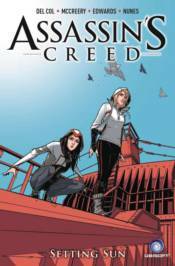 Collecting the second arc of the critically-acclaimed Assassin's Creed comics, Setting Sun sees Charlotte searching for a clue that will help the Assassins on their quest to foil the Templar's plans. Hidden deep in the memories of her Inca ancestor lies a word that will save them - if it's not too late! Collects Assassin's Creed #6-10.